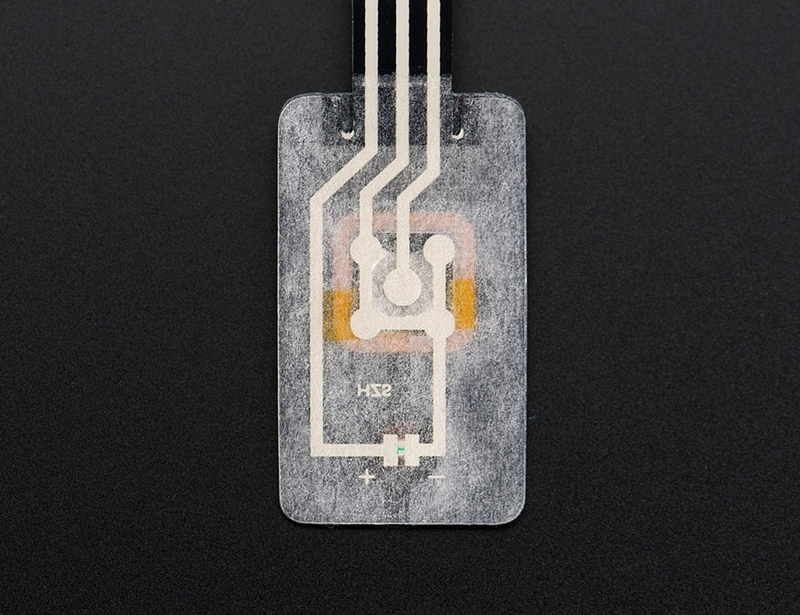 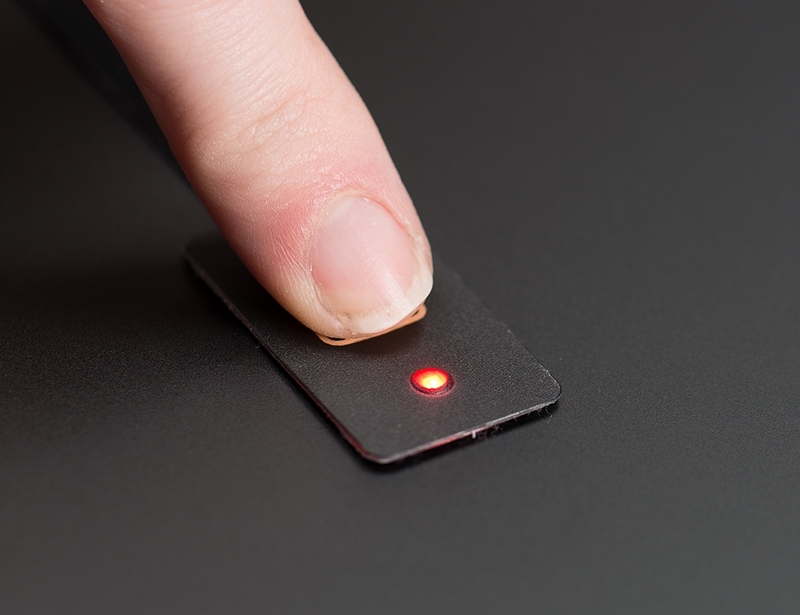 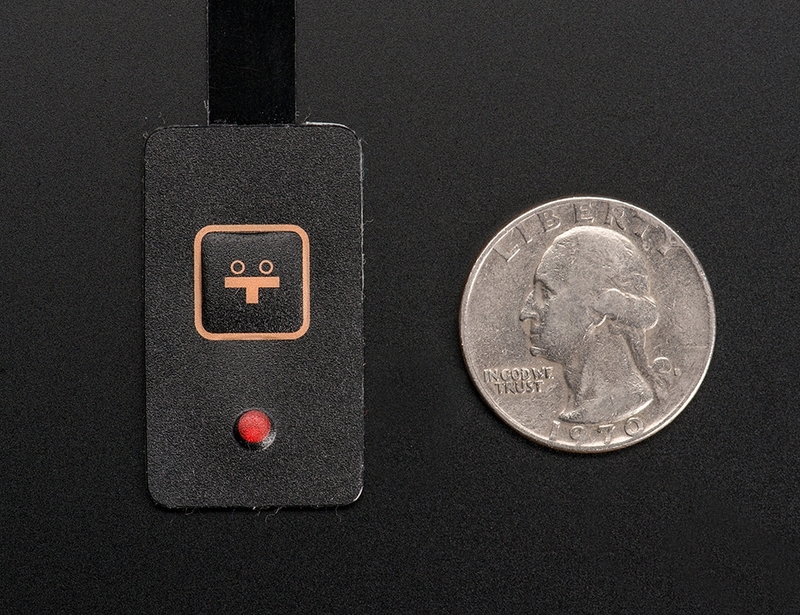 This membrane keypad has a single key, but it does have an embedded surface-mount red LED installed. 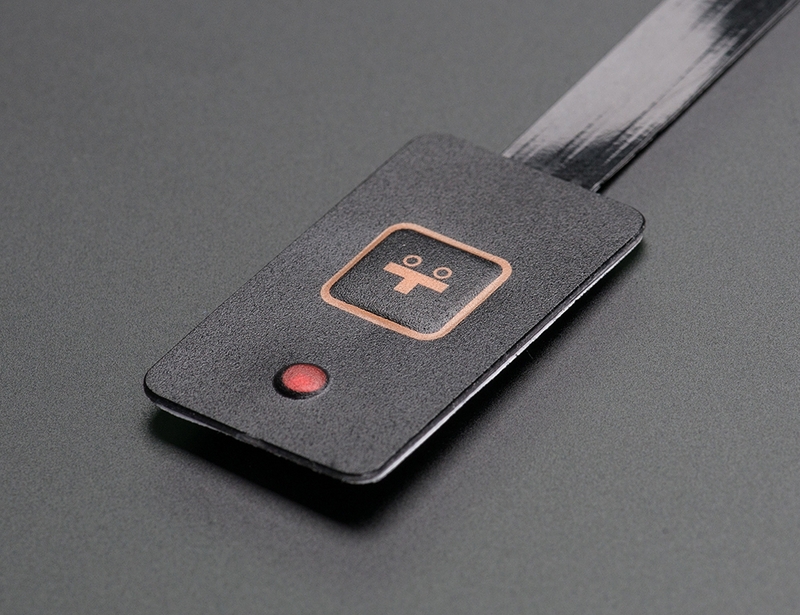 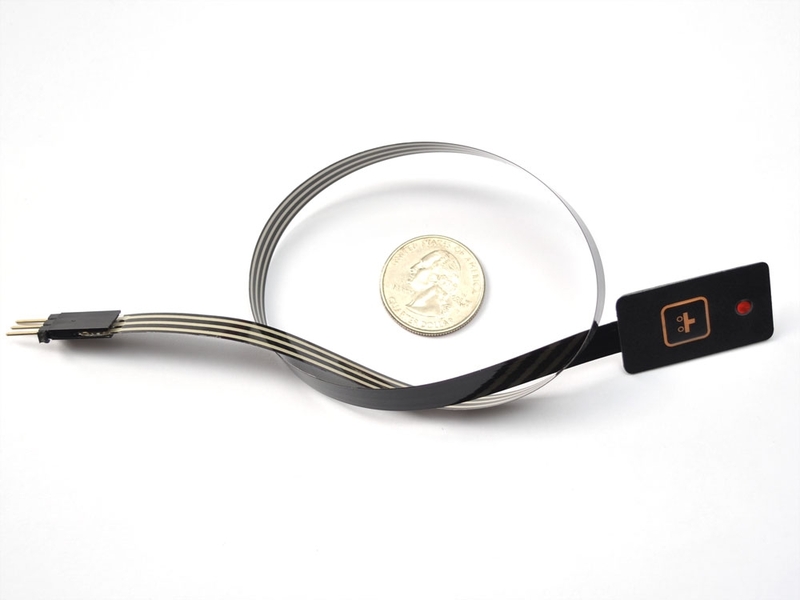 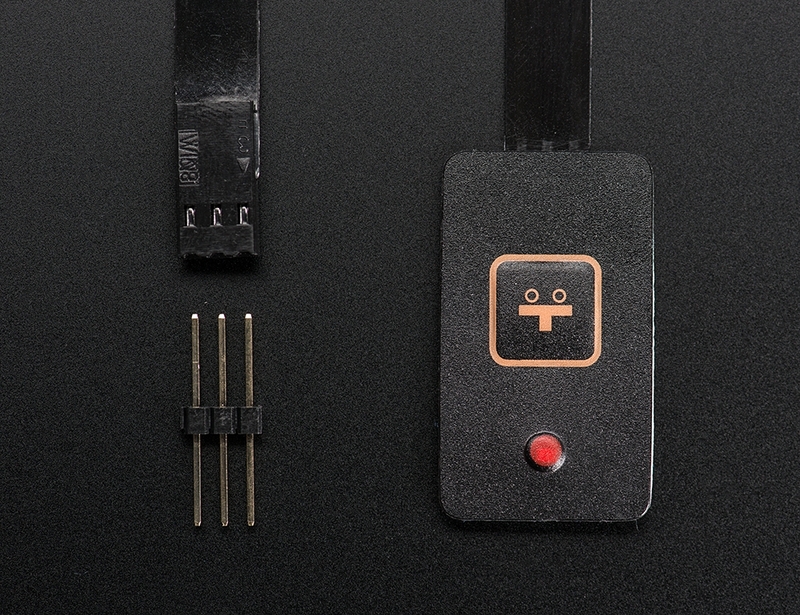 The flex cable is also extra-long, so we can think of a lot of wearable and portable projects that would use this sort of switch and have an LED as feedback (say, to indicate that an action is occuring or the power is on). 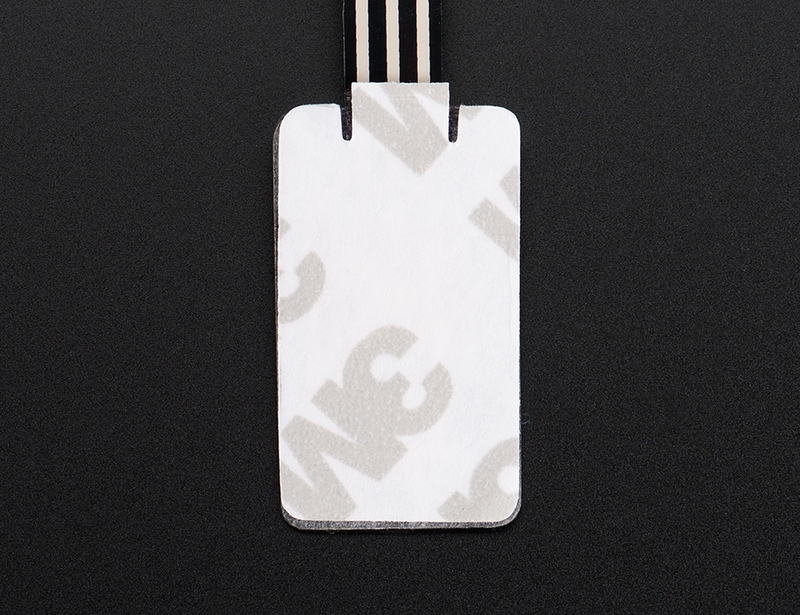 Since the keypad is soft plastic, it can be sewn with needle and thread.